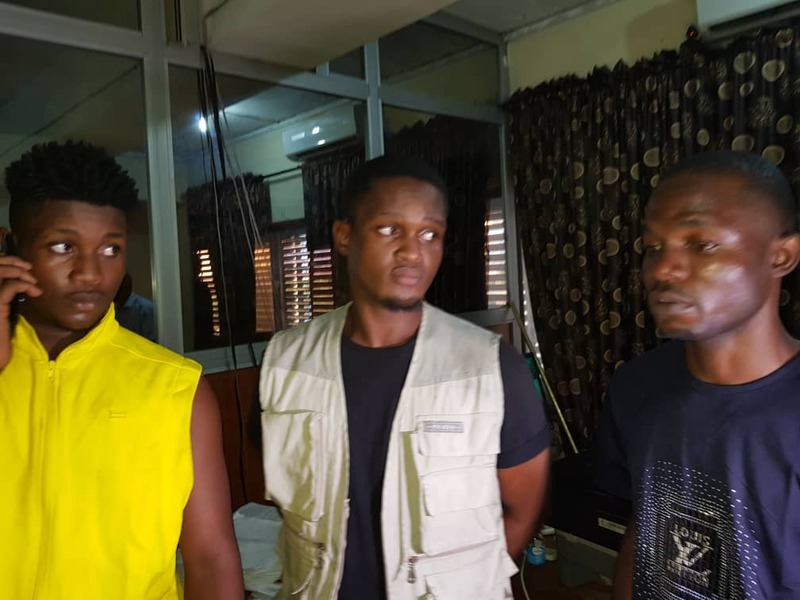 The Joint Admission and Matriculation Board, JAMB, on Tuesday night, in Lagos, burst into a computer-based test (CBT) centre- Risk Global Company Limited, at Anthony, and apprehended two sons of the owner of the centre and the centre’s technical officer, for aĺlegedly engaging in examination malpractice and for selling fake Unified Tertiary Matriculation Examination (UTME) questions to unsuspecting candidates. The two brothers, David Ukpai and Godswill Ukpai and third person, Obinna Ebere, have all confessed to taking pictures of the ongoing UTME questions on the screens during examinations at their father’s centre, and selĺing same to the owner of a private tutorial centre in Lagos. They gave the name of the tutorial centre as Embassy, and that the owner who they did not mention usually bring candidates to their centre for registration and examination. JAMB’s Registrar, Prof Isha’q Oloyede, who was in Lagos for monitoring exercise, said CCTV had given out the suspects and a search on their phones confirmed the suspicion. He explained that, the suspects, who were not authorised to enter the hall during the examination, usually used the opportunity of the ownership of the centre to illegally gain access and perpetrate the crime.